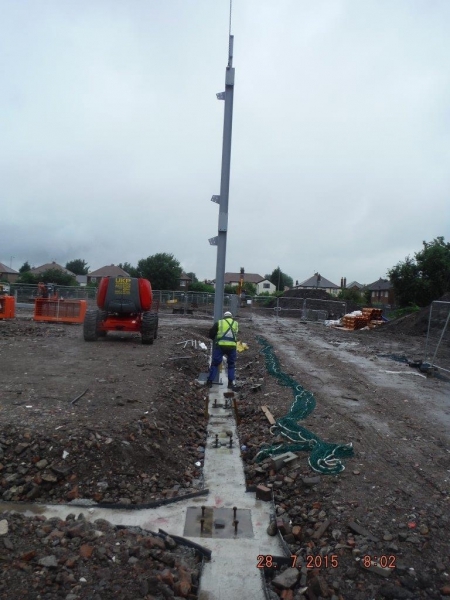 Phase one of the programme is now complete and phase two is fully underway. The demolition of the east and west wings plus the H block is complete. 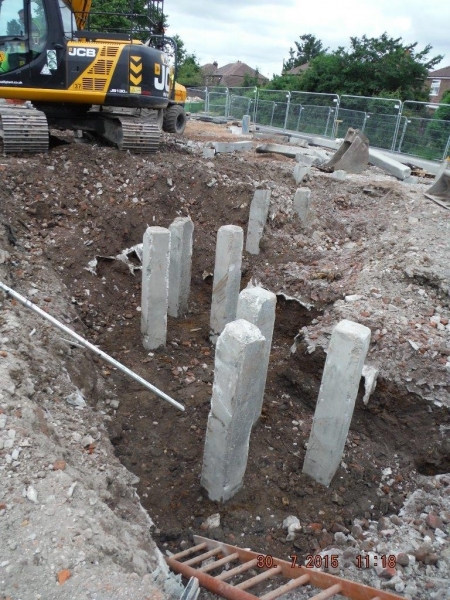 The next phase of the central block is due to begin in early February. 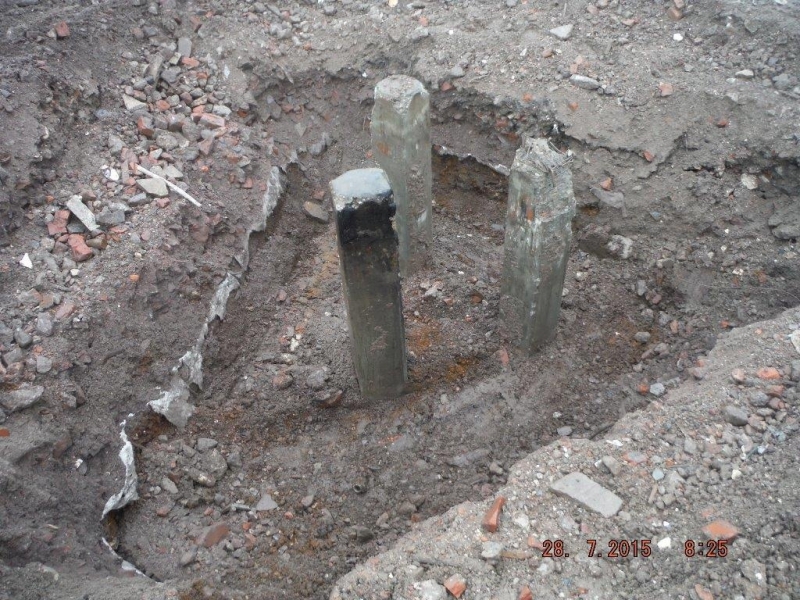 The initial foundations for the new sports facilities are now laid, and building work is due to commence in February. 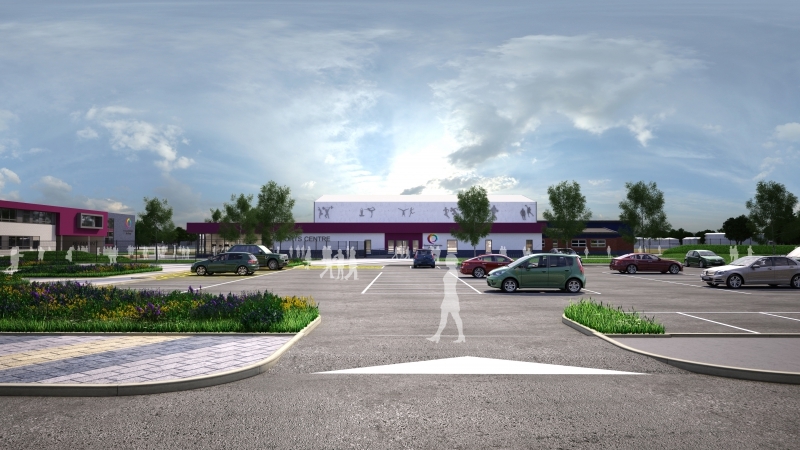 These new facilities will include a refurbishment of our sports hall and the building of a brand new fitness suite, dance studio, changing and reception area. 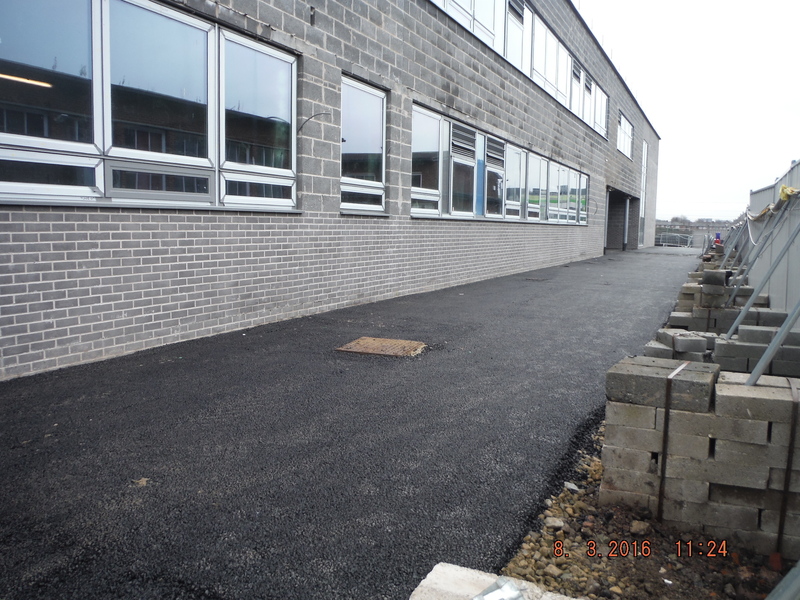 This second phase of the building works is scheduled for completion in the summer term of 2017. 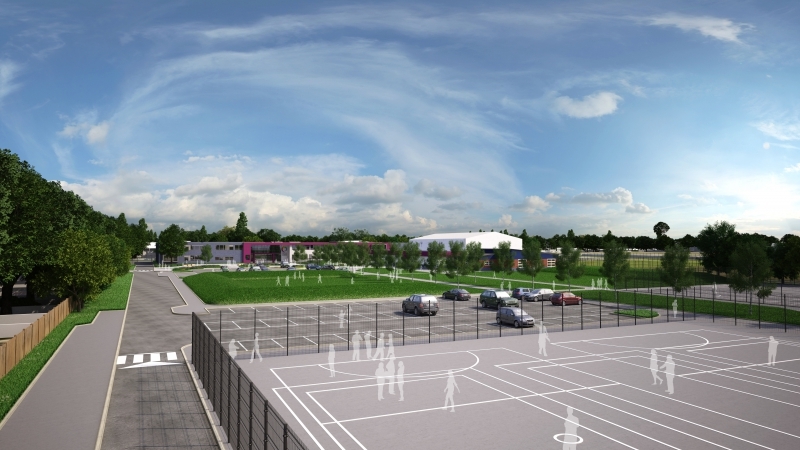 In addition to the indoor sports facilities, the outside areas will be fully landscaped and will include three tennis courts, two netball courts, a five a side football pitch and a multi-use games area. 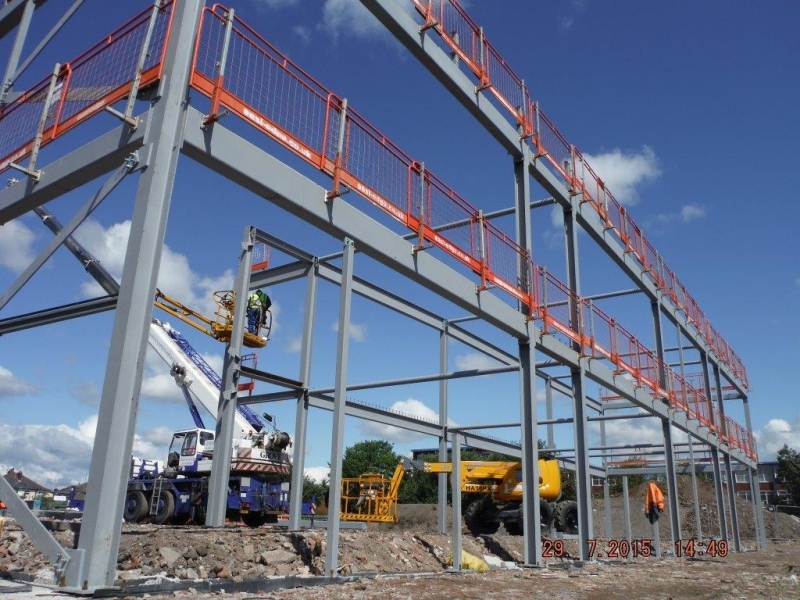 The outside areas will boast an outdoor amphitheatre and parking for staff and visitors. 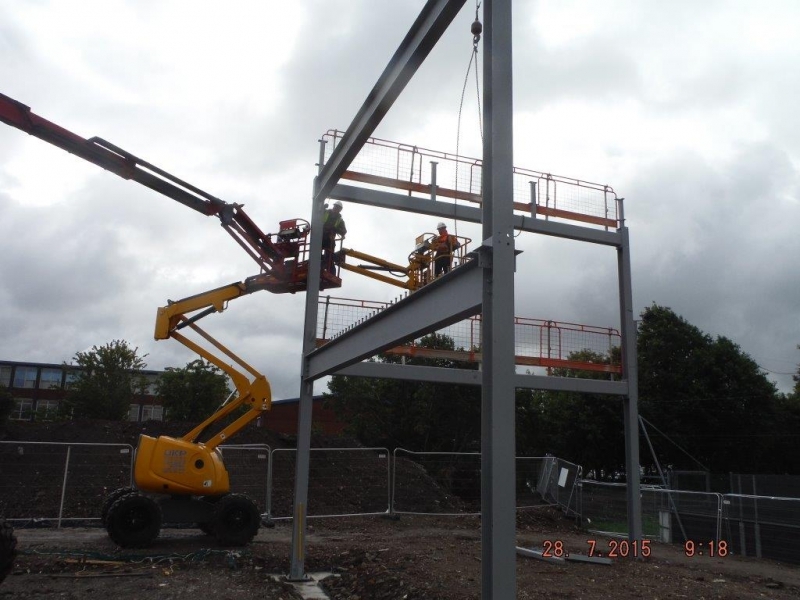 Phase one of the Beamont Collegiate Academy (PSBP) was completed on the 24 th August 2016. 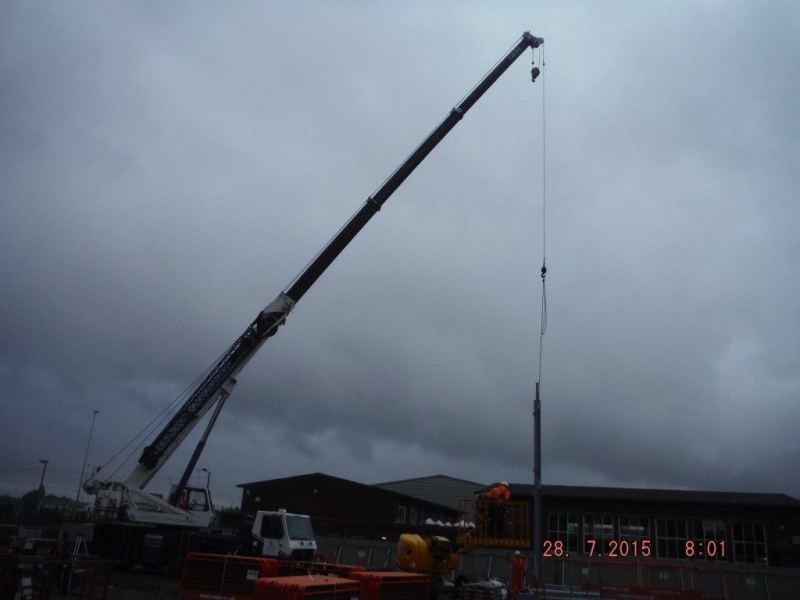 On this date the main teaching block was handed over to the school by the builder WATES, and the EFA. Inside the building staff were very busy for the last week of the summer break ensuring that all furniture was in place and that all areas were ready for the opening of the new Beamont Collegiate Academy and the first day back to school for the students. 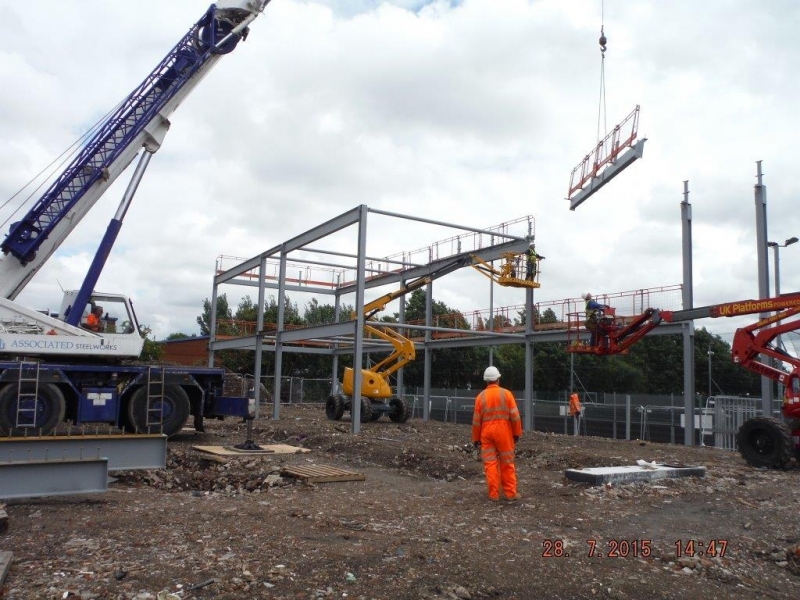 The completion of phase one of the building also triggered the start of phase two. 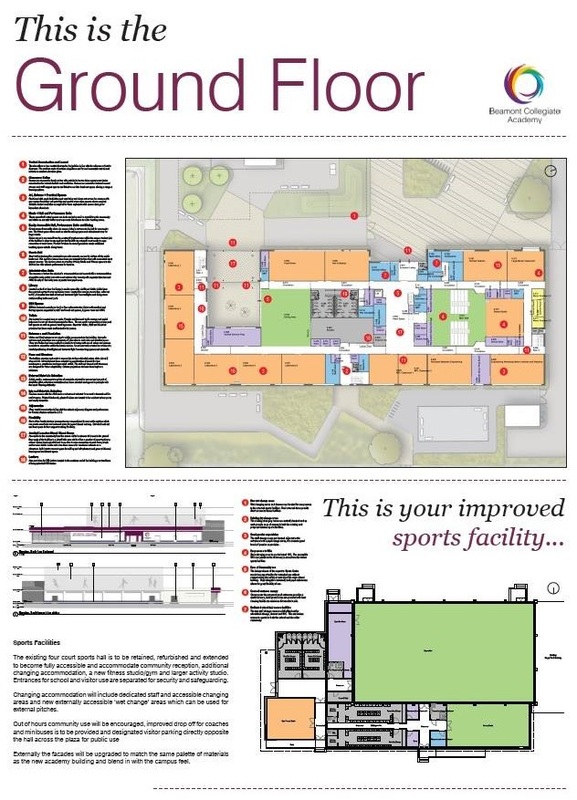 Phase two involves the demolition of the existing school building and the creation of a new sports and fitness facility which will include a sports hall, fitness suite, dance studio and changing facilities. The completion of phase two is scheduled for the spring of 2017. 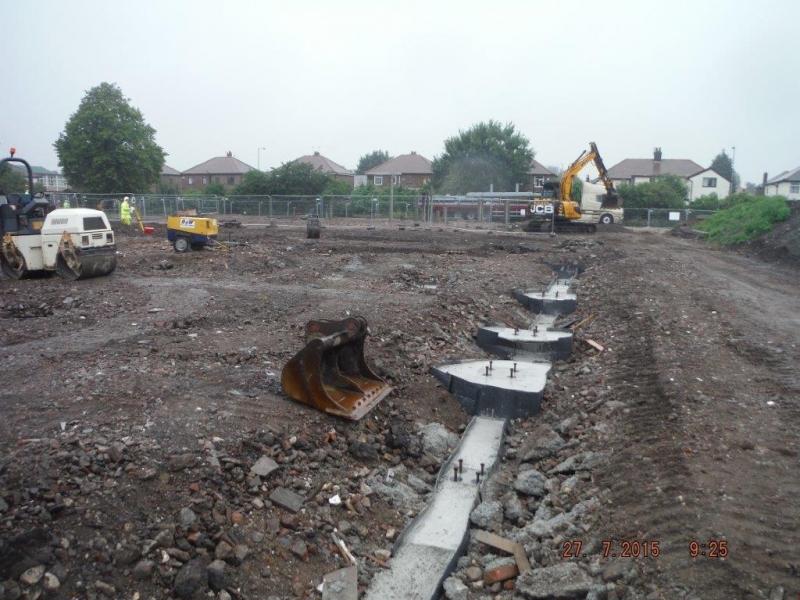 After phase two, works will focus on the construction of a number of sports pitches, parking areas and the landscaping of the whole school site. 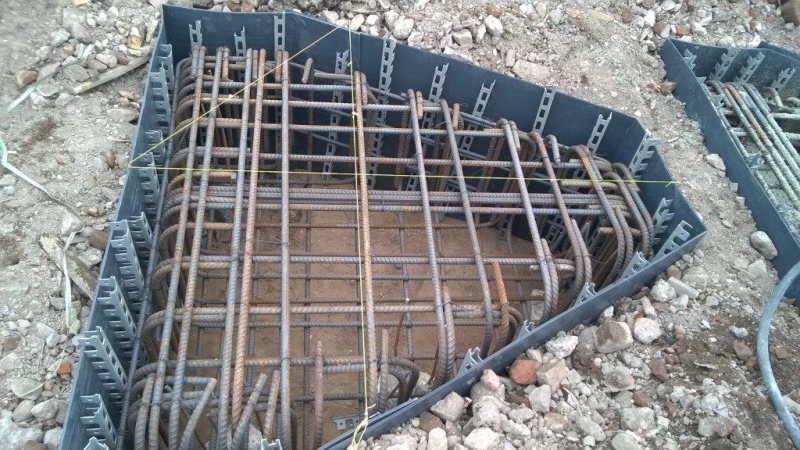 The structural steel frame is now complete as is all the brick work and block work. 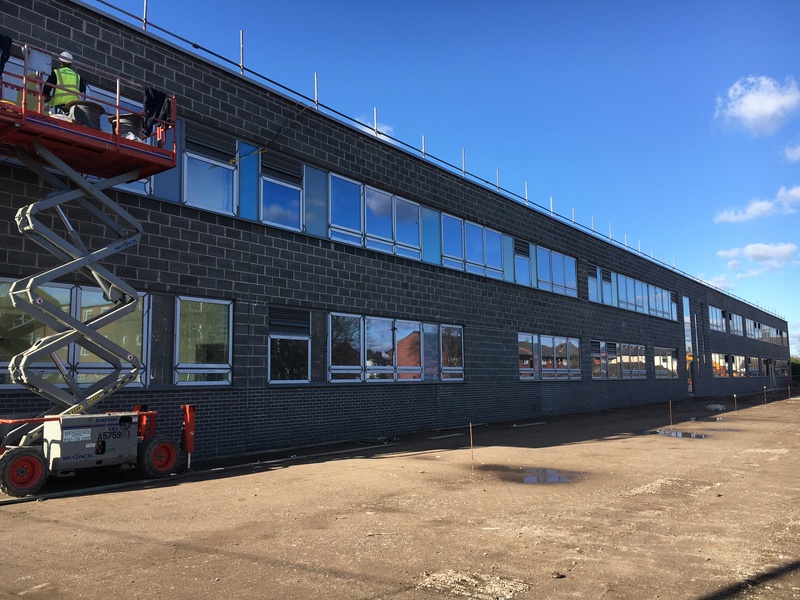 Windows were fitted throughout the building during December , January and February and the building is now watertight.The internal fit out is now underway and some internal spaces have now had the first coat of paint. 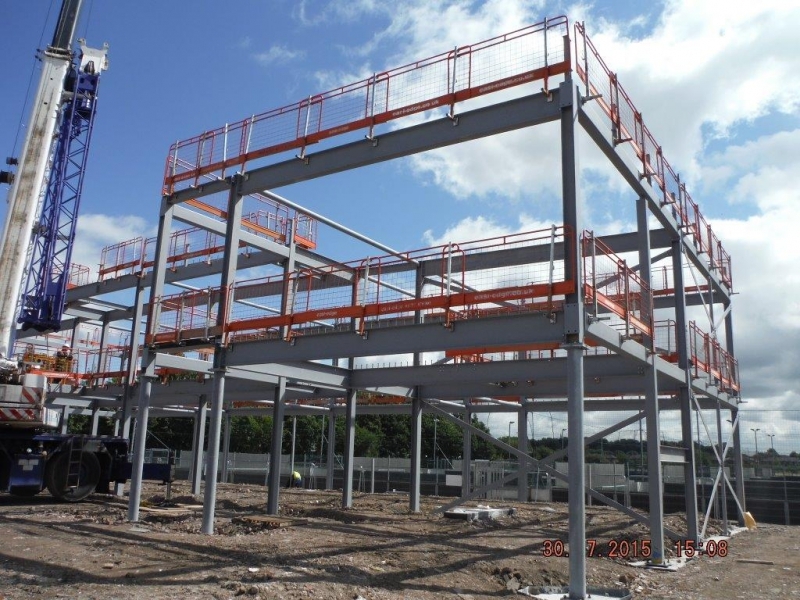 Currently the new build is on schedule for completion during the summer term of 2015-2016. 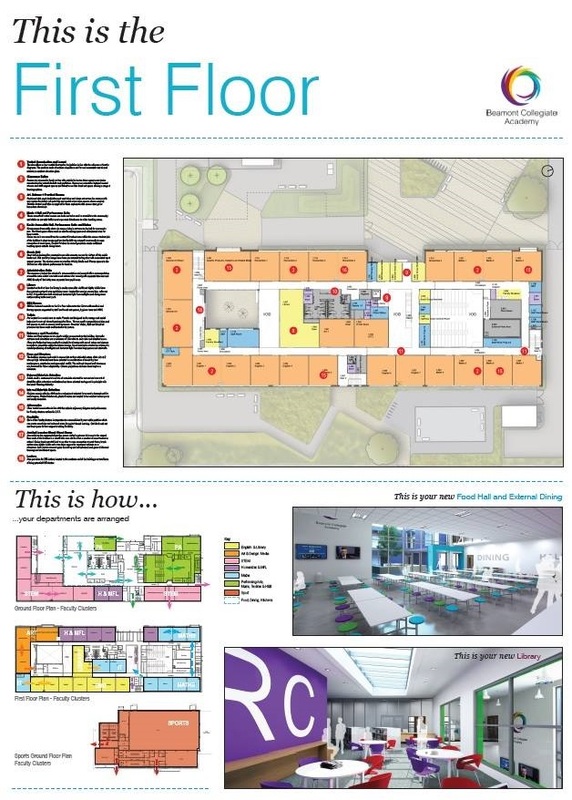 Regular site tours are in place for students, staff and other stakeholders. 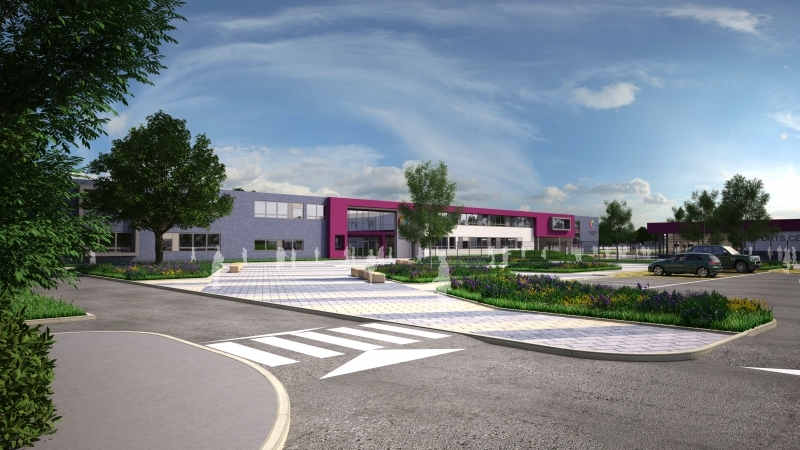 Under the Government’s Priority Schools Building Programme (PSBP) Beamont Collegiate Academy has successfully applied for and been granted funding for a complete new school build on the existing site off Long Lane, Warrington. 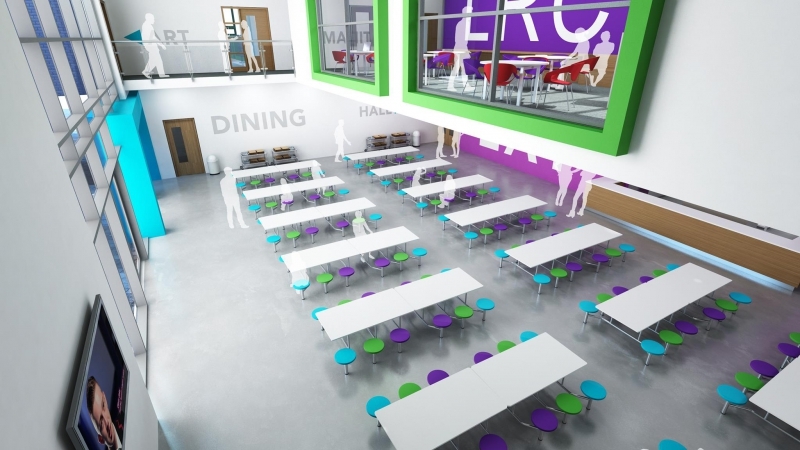 Wates Construction were shortlisted down to the last two and successfully won the contract based on their proposal best meeting the needs of the school and its students. 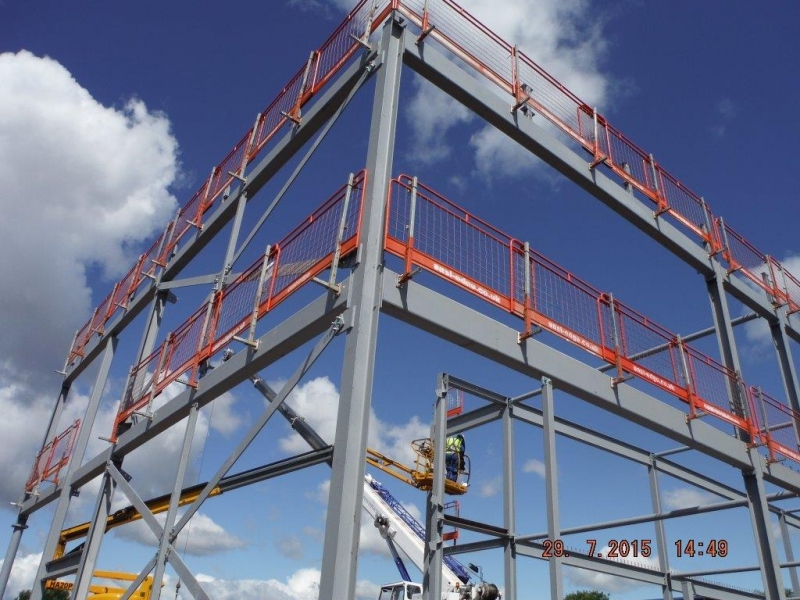 The building will comprise of 2 floors and will sit within an area of the grounds which is not currently occupied by any other buildings. 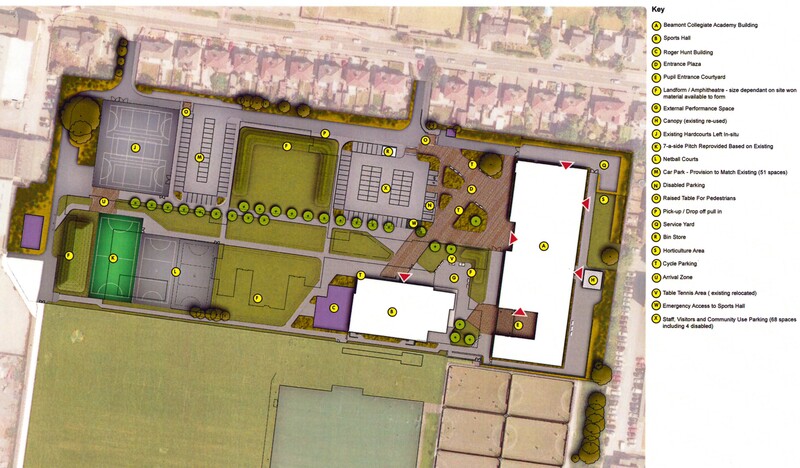 Once the new school is built the current building will be replaced by sports facilities and car parking. 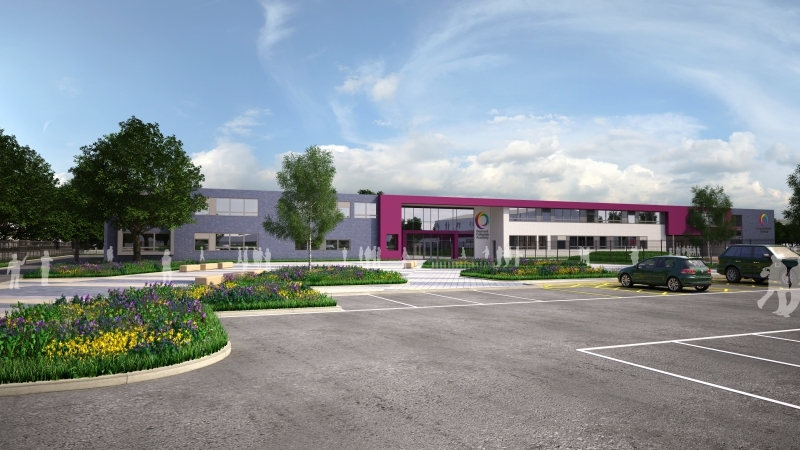 Building work is due to commence from this summer and students and staff will be able to see their new school take shape over the following 12 months. 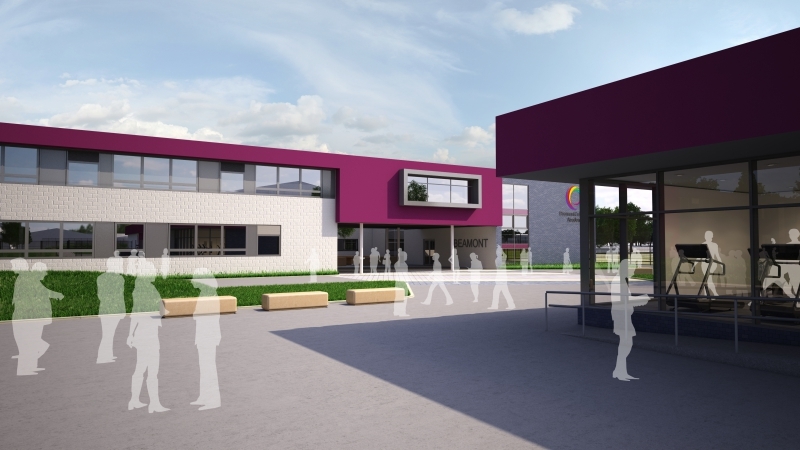 The new school will be open to students in 2016. 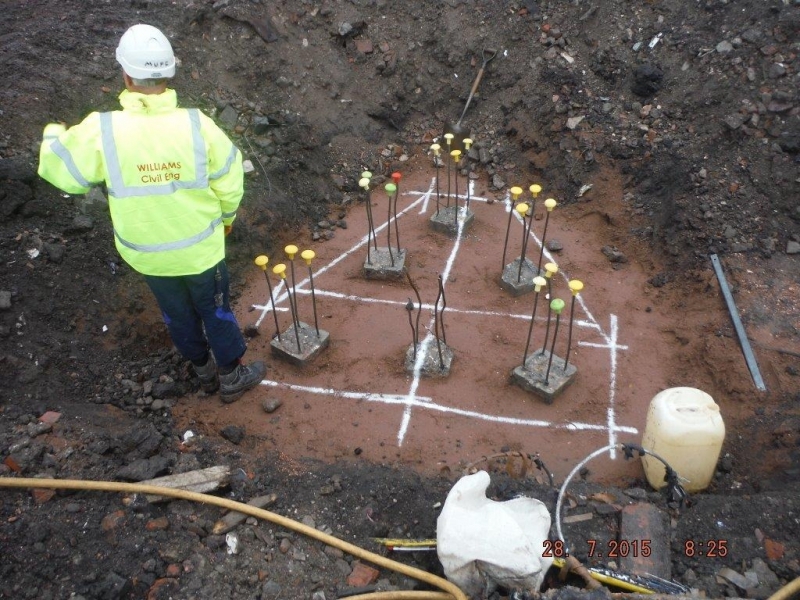 Current Year 5 students in local primary schools will be invited to visit the site at various times throughout the build process. 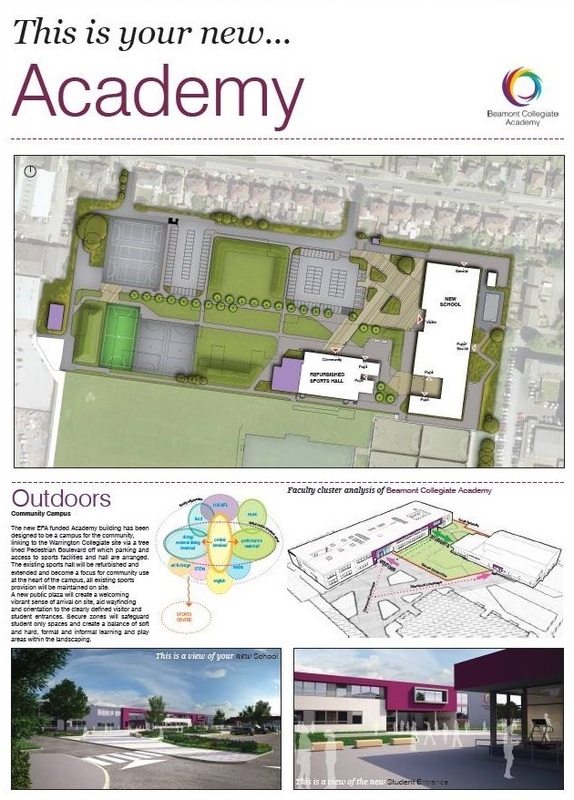 This will allow them to see how their secondary school is developing ahead of them joining in 2016. 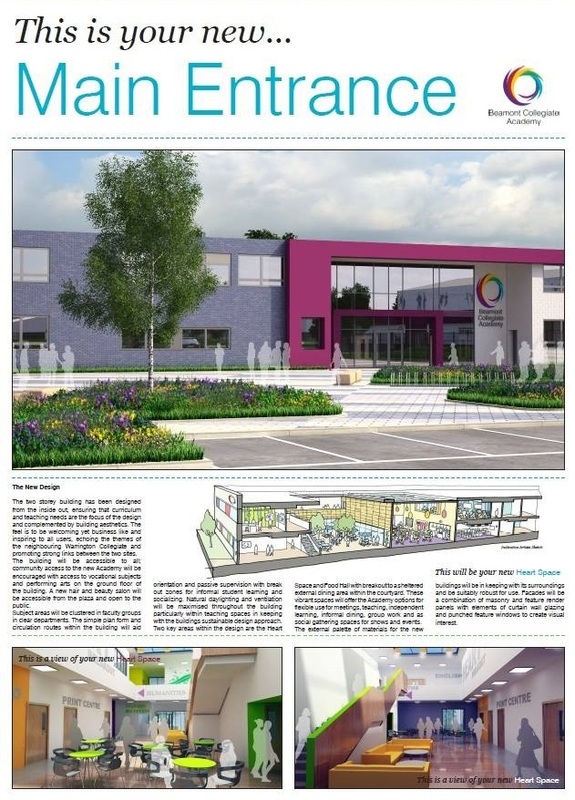 This exciting development for Beamont Collegiate Academy comes just 12 months after they converted to a sponsored academy under the umbrella of the Warrington Collegiate Education. 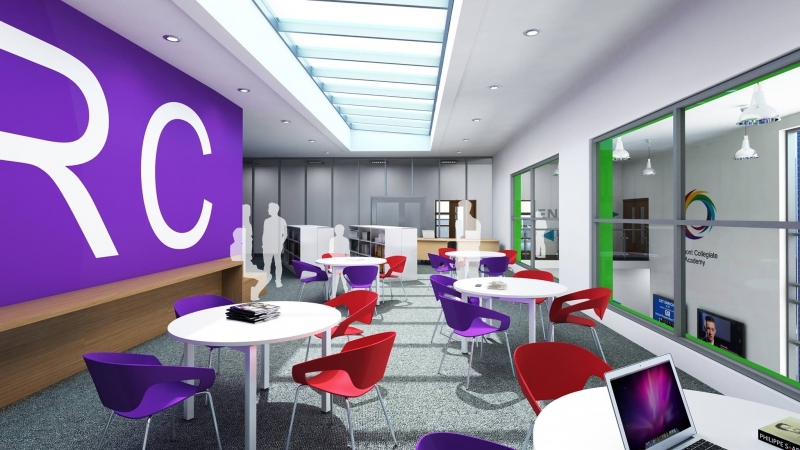 This partnership provides students at Beamont Collegiate Academy with a vast range of opportunities, including strengthened relationships with local employers and use of the wider campus facilities, including Warrington Collegiate and the sports facilities at the Orford Jubilee Hub.